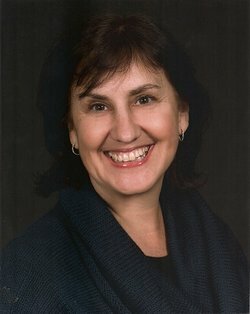 Alicia von Stamwitz is an award-winning freelance author and editor with the religious press. Her essays and articles have appeared in The New York Times, Publishers Weekly, The Sun, America, The United Church Observer, and St. Anthony Messenger. Among others she has interviewed Jean Vanier, Winner of the 2015 Templeton Prize, the Benedictine nun Sister Joan Chittister, Quaker activist Parker Palmer, art historian Sister Wendy Beckett, and essayist Kathleen Norris. In cooperation with the Vatican, she recently she compiled and edited two books of the writing of Pope Francis: THE SPIRIT OF SAINT FRANCIS: Inspiring Words from Pope Francis and THE BLESSING OF FAMILY: Inspiring Words From Pope Francis. Alicia Von Stamwitz was born in Havana, Cuba, and now lives in Missouri with her family. You can follow her on Twitter at other visit her website to learn more. 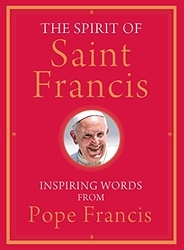 EB: Tell us about the first book you worked on with the Vatican Publishing House: THE SPIRIT OF SAINT FRANCIS: Inspiring Words from Pope Francis. How did this project come about? AVS: As you may know, after his March 2013 election Jorge Bergoglio chose the name “Francis” in honor of one of the most beloved figures in Christendom, Francis of Assisi. Within the first year of his papacy, many books were published on the pope’s life and words, but none focused on the intersection of the pope’s message vis-à-vis his chosen namesake. So one morning I decided to phone the Vatican to pitch the idea. I’d met the Vatican Publishing House editors several times at conferences, but I wasn’t sure if they’d remember me or whether they were the right people to talk to about this proposal. Still, I told them I was working with a Franciscan publisher in the U.S. and that we wanted to publish a compilation of the pope’s words on Franciscan themes like simplicity, joy, love for creation, the poor, peace, and so on. I thought we would have to jump through a million hoops to get permission to do this, but they liked the idea and said yes right away. EB: It must be daunting to be the editor for Pope Francis, or any pope. Were you at all nervous about this project? EB: You had to arrange and select the readings. What was your plan? How did you arrange items so that the whole collection would have a larger impact than the parts? AVS: I began by reading practically everything Pope Francis has said or written since his election, which took me several months. It was overwhelming at first, but it was also fun once I started to recognize patterns and recurring highlights in his speeches and writings. I clipped the most compelling quotes and began arranging them on the floor of my office, color-coding the strips of papers and index cards thematically: blue for quotes on war and peace, orange for quotes on love and forgiveness, green for quotes on the environment, etc. I had no idea when I started if I’d end up with 5 chapters or 15. But as I selected and grouped what I thought were the best quotes—including a lot of his off-the-cuff remarks, which can be particularly revealing—an organic order began to suggest itself. Then I paired these piles with the primary themes associated with the life and legacy of Francis of Assisi. I ended up with 10 chapters that both trace the spiritual path and mirror the pope’s keynote: A real encounter with the Divine (chapters 1-3) leads to personal transformation (4-6) and positive action that makes the world a better place (7-10). 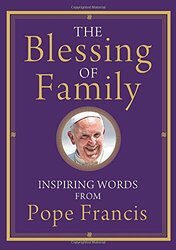 EB: Can you tell us a little bit about the second book, THE BLESSING OF FAMILY: Inspiring Words From Pope Francis? AVS: This, too, is a compilation. I didn’t pitch this one to the Vatican; they came up with the idea and asked me if I’d like to do it in advance of the World Meeting of Families in Philadelphia this September. The process was the same, but it was not as intense because by this time I had a better grasp of the pope’s body of writings and speeches. This book gathers his nuggets on love, marriage, raising children, and caring for elderly parents. He obviously gets the struggles many modern couples and families face, so it’s not all pious stuff. For example, he says, “I always give this advice to newlyweds: ‘Argue as much as you like. If the plates fly, let them! But never end the day without making peace! Never!’ ” He also talks a lot about the importance of cherishing and caring for frail and sick family members, probably because he had first-hand experience with that. His own mother was paralyzed after giving birth to her fifth child, so twelve-year-old Jorge stepped up to help run the household. EB: How did you settle into a career as a religion writer/editor? AVS: By default. I tried teaching, twice, and I enjoyed working with kids but as an introvert I found it draining to be “on” all day. Fortunately, a friend recommended me for a bilingual editorial and sales position at a Catholic publishing house, and I knew shortly after taking the job that publishing would be a better fit. My employers, the Redemptorists, a religious order of priests and brothers, were incredibly supportive and generous: they helped me get a full scholarship to return to college and study journalism, and they set me up with a home office when I had my first child. By then, I was writing short articles for the house magazine and learning how to edit book-length works. EB: Outside of Francis, who are your favorite authors? EB: Thanks for chatting with us. This entry was posted in Ideas and Opinions, Interviews, What People Are Reading. Bookmark the permalink.